Whether it’s a rollicking tailgate gathering, a festive holiday celebration, or just meeting friends for brews at the local pub, heavy drinking or “binge drinking” is bound to be involved. According to the Centers for Disease Control and Prevention (CDC), one in six US adults binge drinks—defined as having more than 4 drinks for women or 5 for men within 2 hours. But while downing multiple drinks in short periods of time may be common, it can also wreck your health, safety, relationships, and chances of success—even if you just binge on Saturday night. Keep in mind that when you’re drinking many drinks fast, it can take time for the full effects of the alcohol to affect you. In the meantime, you could be putting yourself and others at extreme risk. That’s why, as “the season to be jolly” approaches, it’s especially important to keep the dangers of overindulging top of mind, take stock of your drinking habits, and consciously plan to limit your consumption before taking that first sip. Not sure you’re overdoing it? Can’t recall recent conversations with a friend? Starting to take more risks, or you’re slacking off with your responsibilities? Getting into more arguments with people? Making excuses that you need drinks to calm down or fit in? Blacking out? Are your friends or family members worried about your drinking? These are all warning signs that you’re abusing alcohol and that it’s time to cut back. Choose non-alcoholic beverages. Decide on this choice ahead of situations involving alcohol and consider bringing water, a soft drink or some other non-alcoholic beverage to the event. Avoid your triggers. If you can’t avoid events where drinking is the main focus, find distracting activities to do, like dancing. Above all, don’t participate in drinking games or competitions. Step away from the bar or the spot where the drinks are being served. Select friends who don’t binge drink and who respect your limits. Keep aware of your own drinking, track it, and walk away from one more beer, cosmo or shot. Slow down. Fast drinking speeds up your tolerance for alcohol, making you quickly reach for another drink. Take only a few sips from your beverage at a time, sip water or soda between drinks, or dilute your drinks. 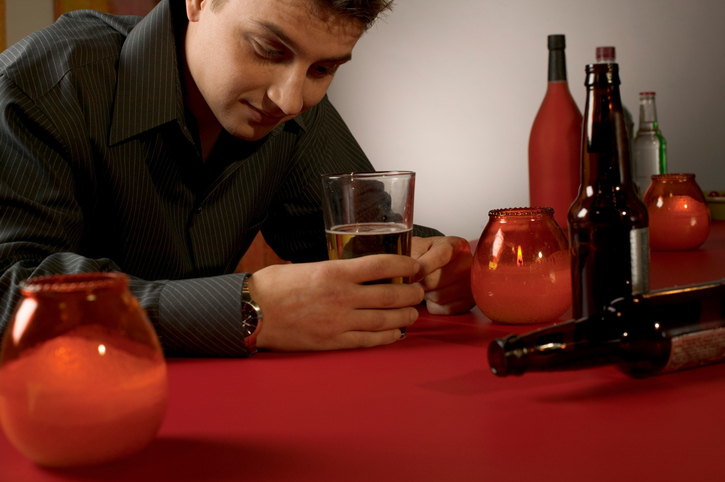 If, despite your efforts, you are unsuccessful at curbing your drinking, seek help. If you’re a Health Advocate member with access to our EAP+Work/Life Program, consider speaking with a Health Advocate Licensed Professional Counselor who can help provide confidential support. The Counselor can help identify your triggers and provide suggestions to change your drinking habits, find the right resources and support groups, and provide referrals for in-depth help, if needed. If you’re a member with our Advocacy services, contact us to speak with a Personal Health Advocate who specializes in behavioral health. The Personal Health Advocate can help you identify resources for help.